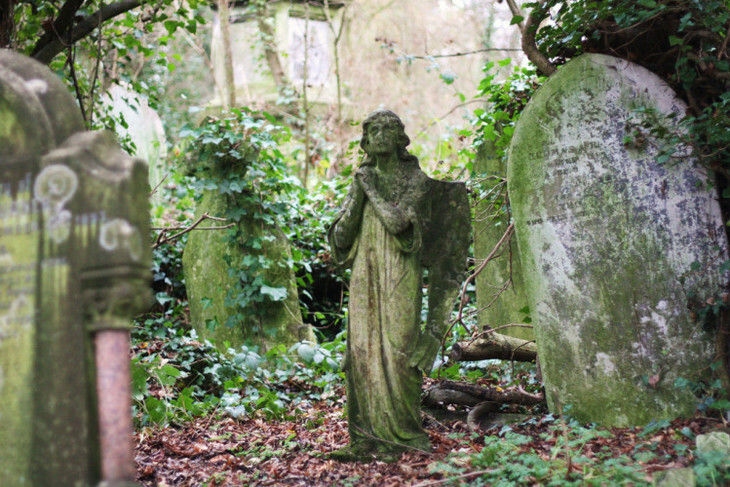 The afternoon of Sunday 11 March sees an unusual event unfold in Nunhead Cemetery. Grave Passions is a mixture of performance art and story telling which have been woven into a guided walk celebrating lesbian history. This is topical, as LGBT history month has just finished, and we are now in Women's History Month. Just hope the weather is clement, or that the artists all wear thermals under their flimsy sapphic robes. The cemetery tour starts at 4pm - meet at the back entrance in Limesford Road. You can book for the event by e-mailing parlourgames@hotmail.com. Image by Stephskimo from our photo store cupboard.